Rarely do urban superintendents stay in the same district for nearly a decade. 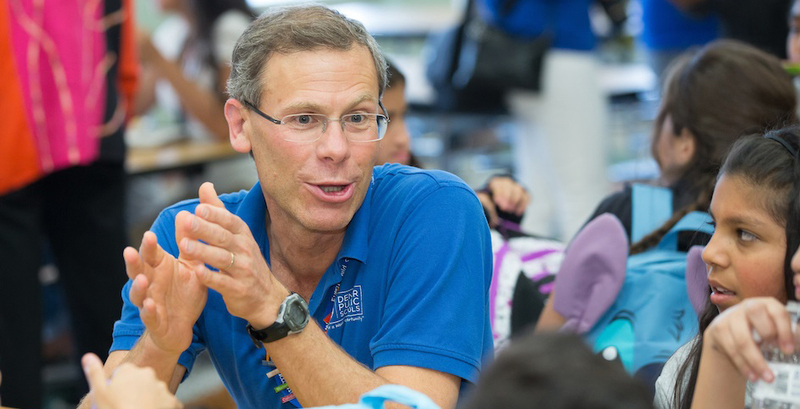 Even less frequently do they enact the type of profound changes Tom Boasberg has in Denver Public Schools. Over the past decade, Tom has become a national leader in demonstrating what the future of large school systems could look like. His remarkable run in Denver made him one of the country’s most admired superintendents, with good reason. As a member of the Chiefs for Change board, Tom has promoted a vision for equitable access to quality schools that has been a model all chiefs have learned from. His intuitive ability to connect every decision, big or small, back to students and social justice reflects his true core values. He leaves not only an impressive legacy but also an organization of talented people and leaders in Denver committed to equity and excellence. For these reasons, and so many more, it’s worth reflecting on his accomplishments after his announcement that he plans to step down in October. As noted by local advocacy group A+ Colorado, Tom’s record of achievements is striking. He has modeled the kind of bold and innovative leadership that is so vital to driving change in our cities. Most notably, Tom has led far-reaching efforts to reimagine both what our schools and what a system of schools can look like. Attacking the decades-old model in which teachers work alone in isolated silos and can take leadership opportunities only by leaving the classroom, Tom introduced the country’s largest and farthest-reaching teacher leadership program. This year, more than 500 Denver teachers — 1 of every 10 in the district — are working as teacher leaders. They teach half the day in their classrooms, and for the other half they serve as teacher team leads, coaching and growing the educators on their team and leading collaborative work among them. Denver’s model has helped to create great opportunities for talented veteran teachers to lead and has enabled teachers on their teams to receive much more frequent coaching and feedback. Likewise, at the system level, Tom reimagined how district-run and charter schools could work together and learn from each other to drive greater opportunity for students. As Tom recently shared at the National Charter Schools Conference, his foundational premise is that “we are one school district.” Ending the civil wars that have long plagued district-charter relations, schools in Denver have instead come together to construct shared funding, special education, enrollment, transportation, and accountability systems. The result has been a win for Denver families and has helped drive record enrollment growth for the district. ● According to the most recent data, the number of students graduating from Denver Public Schools increased over 70 percent. For Latino and African-American students, that number doubled. ● The number of district students enrolling in college increased 89 percent. Again, for African-American and Latino graduates, this number doubled. ● The number of students earning college credit by passing Advanced Placement exams increased fivefold, with Latino and African-American students seeing an increase of almost 800 percent. ● At a time when many urban districts are experiencing declining enrollment, Denver is the fastest-growing urban school district in the nation. ● Denver students are outpacing students across Colorado in academic growth rates. ● More than 2,000 more students stay in Denver Public Schools each year as dropout rates decline. The story in Denver is about more than improved student outcomes. In this time of increasing polarization around education, Tom found the delicate balance between high-level policy change and alliance building. Unwilling to surrender to divisive education politics, he didn’t play favorites and instead pursued partnerships with all stakeholders. By empowering teachers, principals, students, and families, he created a community-wide effort that produced academic gains positioned for long-term sustainability, independent of any one person. The work in Denver is far from over, as Tom is the first to point out. Understanding today’s urgent needs while keeping an eye on the future has been a hallmark of his leadership — and Denver is a better place because of him. With a strong foundation to build on, he leaves Denver Public Schools poised for another decade of momentous progress.